In tough economic times, families are finding it difficult to afford expensive vacations at luxurious resorts. Some people prefer getting up close and personal with nature but hate the idea of roughing it on a camping trip. Leaky tents and sleeping bags are not very appealing and if bad weather strikes, the entire holiday can turn into a nightmare. There is a new option gaining popularity known as glamorous camping. Glamping trips feature exposure to the great outdoors and offer luxurious amenities not found in any campground. A little bit of camping and a little bit of glamour, these resorts offer everything from private chefs, spa tents and microbreweries. From cashmere blankets to linen sheets, visitors can enjoy nature while being pampered. Eco Beach Wilderness Retreat is one of the most remarkable destinations in the world. This beautiful retreat is located just one hour south of the quaint seaside town of Broome. Guests can enjoy luxurious safari style eco tents in a beautifully appointed eco villa while watching ocean waves kiss the white sandy beaches. The accommodations are equipped with a full kitchen, mini bar, refrigerator and television. At the centre of the retreat lies Jack’s Bar and Grill where customers can enjoy drinks and authentic cuisine in an open-air environment. Visitors can spend their time frolicking in the warm waters, exploring the caves nearby or taking a long romantic stroll along the beach. The Maasai Mara National Reserve is home to thousands of wildlife indigenous to Kenya. Visitors can enjoy a luxurious holiday at Sanctuary Olonana, an award-winning camp on a private stretch of the Mara River. Each tent comes with a butler who will gently wake the occupants by delivering hot chocolate or a cup of freshly brewed Kenya coffee. The Sanctuary’s mini-spa offers a range of treatments and products sure to soothe the body and soul. The local lions have become relatively accustomed to the two-legged visitors and they are easy to spot lazing about under the sun. 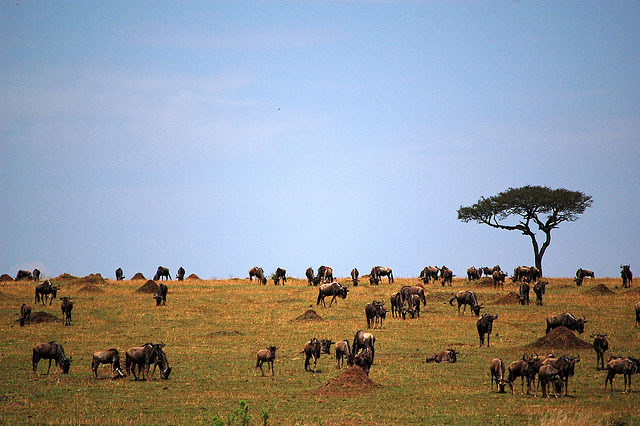 The Mara Plains are full of wildebeest, giraffe, impala, Thomson’s gazelle and zebra. Cheetahs, jackals and hyenas are not far away and regularly seen throughout the reserve. The more adventurous might enjoy gliding down the river in a canoe alongside the crocodiles and hippos. Sanctuary guides will introduce visitors to all the wonders of Africa. Guests might also enjoy visiting the abandoned gold mines at Bear City while perched atop one of the resorts many horses. For those who like learning new skills, the resident chefs offer cooking classes including visits to local growers and suppliers. The Hotel and Igloo Village Kakslauttanen offers log cabins each with its own peaceful and colorful garden area. Boasting the largest smoke sauna, it comes equipped with a both a log house and charming snow restaurant. 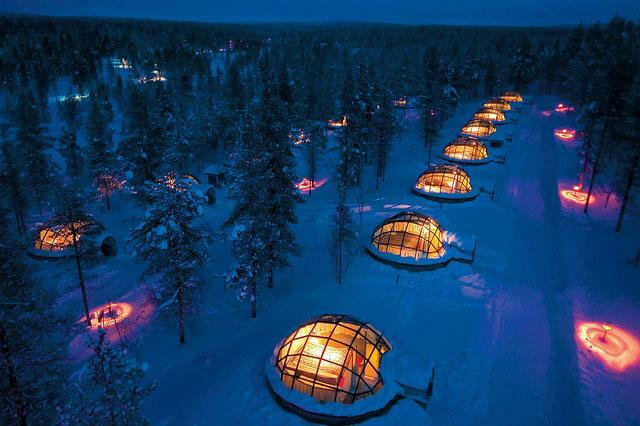 Guests can stay overnight in a traditional snow igloo or futuristic glass igloo. The Igloo Village also has an ice bar and restaurant where patrons can enjoy food and drinks while watching the Aurora Borealis. For those on a romantic getaway, check out the snow chapel where couples can get married. During the summer, there are boat trips to the local rivers where the fish abound. A visit to the Tankavaara Gold Village is fun for those who wish to try their luck at gold panning. Visitors during the winter season will enjoy driving a reindeer-drawn sled down the nearby hills. Glamping trips vary widely in the amenities provided, but most of them offer beautiful scenery while providing comfortable accommodations. This unique adventure offers a rich experience where people can experience the beauty of nature and luxurious comforts at the same time. Sarah the author of “An insight into the world of international Glamping” is a travel writer from London. She has lived and work all across Africa and Asia.